That's right folks - as the title says I am stepping back from Vorb and leaving it's in the capable hands of Rik and the team at ID Digital Media. After 9 years of Vorbdom it's time for me to turn my energies to other things. Some of you may be aware I'd been planning to handover Vorb at some point as with everything sooner or later you need to move on. My current medical condition fast-tracked the planned incremental handover to ID and it would of been silly for me to take back the helm when I finally recover. Vorb has been an epic journey for me growing from a in-joke amongst a group of mates to a multi-award winning astoundingly popular website over 9 adventurous and mind-bending years. One of the best things about Vorb is the positive impact it has had on so many people, I have random folk coming up to me (just last Saturday for example) and saying how Vorb got them inspired to get on their bike after an injury, alerted them to an event they enjoyed, recovered a stolen bike, hooked them up with riding chums, got them a job, informed them how to fix a bike, helped them get fit or even got them a bit of rumpo and sometimes a serious partner. Of course there have been low points as well - particularly the tragic deaths of Vorbii who were struck down too early in accidents that in many cases should never of happened. Thankfully the high points out-numbered the low many times over and often the Vorbii could turn a negative event (like the many nasty injuries sustained by members) to positive displays of support and comaraderie. So a huge "THANK YOU" to the Vorbii for without you Vorb would of never of become what it is today. People sometimes miss that over 99% of the content on Vorb is user generated and owes it's success to those of you who've contributed over the years. In many ways people like myself and now Rik are very much caretakers for websites (there's a scarily large amount of janitorial/ maintenance work required for a site like Vorb) and it's the users who make a site what it is. I know some of you are curious to how I'm going post surgery so I'll give you a quick run down; I had an infected abscess in my right leg (yes, gross) which surgeon cut out earlier this month under a general anaesthetic. The surgery has left a decent hole which severely limits my movement, to add insult to injury I also scored a nasty viral infection which I've only just shaken. The healing process hasn't been going as well as hoped and I'm getting quite a bit of medical attention at the moment in an effort to help things along. This means daily visits to the Motueka hospital (unfortunately a 40km round trip) with the occasional home visit from an awesome bunch of nurses. As you can imagine this is incredibly frustrating and as I can currently only walk a few hundred metres and I doubt I'll be back in the saddle any time soon. So you probably won't hear much from me for a while until I finally emerge pale and blinking back into the sunlight, get on one of my neglected bikes and wobble to the shops and back. I'm definitely planning to make up for lost time with some serious epics around Nelson this summer, though I shudder to think what my fitness will be like. So thank you again for everything, it's been a great journey and I've met a lot of awesome folk all over the country. Be nice to Rik, he's been thrown in the deep end and needs all the support you can give him. Thanks for the hard work Tama, get better! I do assume we will still see you posting around vorb? 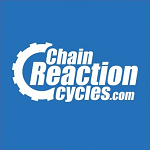 Thanks Tama, you've produced quite the resource for the cycling community. Best of luck for the recovery and next time i spy you at an event i'll make sure to come up and say hi intead of shying away. A standing ovation for Tama, as I think he has done a bloody brilliant job. Personally, without vorb, I'd still be riding only occasionally and only experiencing such awesome areas as Bottle Lake. However, vorb has given me people and places and information that has improved me, inspired me, and driven me, and for that I am truly thankful. You can stand proud (well, once you're all healed up) and hold you head high. I think you did well young man. Nice way to hang your hat up Tama, sounds like you are very proud of what you've created, and so you should be. Cheers for the years Tama, you will be sadly missed. VORB is an awesome site, and it is testament to your hard work and vision. Words don't do it justice. Get well soon and happy trails. Ditto all of the above and whatever other nice things people have to say after me. Biggie ups Tama. Vorb inspired me to buy my first road bike. Got me to ride in my first race, answerd so many of my dumb questions and linked me to a whole community of like minded people. Mind you without Vorb I'd also have a much higher bank balance. Cheers mate. Job well done. Last edited by Kipper on Tue 18/Aug/09 10:02am, edited 1 time in total. "I AM pushing but it won't go in,pass the grease"
Hey what about this promise (re: Leaderboard), does this mean you're now going to do it in your spare time?